What are the benefits of the Lampe Berger? 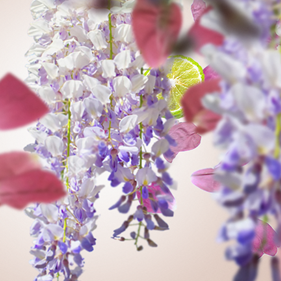 Lampe Berger purifies and perfumes the air indoors like no other system. Catalytic diffusion, which has been perfected over the years, destroys the molecules responsible for undesirable odours. This property makes the Lampe Berger an essential ally for anyone wanting to breathe purified air, whilst enjoying the effective diffusion of fragrances and a splendid decorative item. In which room can the Lampe Berger be used? You can use a Lampe Berger in any room in your home: lounge, reception room, bathroom, kitchen, office, bedroom, corridor, hallway. The atmosphere created in each room will be different depending on the fragrance and the design of the lamp you choose. The ideal situation is to have several lamps and have one fragrance per lamp. Lampe Berger diffuses the scent rapidly, evenly and lastingly, even in a large room. With an incredible variety of styles, shapes and materials (glass, porcelain, crystal, etc. ), the lamp collection will decorate every interior. Can the Lampe Berger be left permanently on? For optimal use, your Lampe Berger should remain lit for 30 minutes for a 12m² room. Look after your item to properly enjoy your Lampe Berger by watching the tutorial! Can the Lampe Berger be used in the presence of children? Yes, you can use a Lampe Berger in the presence of children, as long as you follow the recommendations for use and ensure that children do not handle the lamp themselves and that the lamp is not within their reach. How should I choose my first lamp? Purchasing a Lampe Berger is opting for a unique and high quality object. With an incredible variety of styles, shapes and materials (glass, porcelain, crystal, etc. ), the lamp collection will decorate every interior. To guide you in choosing your lamp, an on-line help module is available; a few questions will be enough to suggest the right lamps for your interior. Retailers of Lampes Berger are also at your disposal to share their expertise and advise you in choosing your first lamp. What is the life span of a lamp? Lampes Berger are of very high quality. 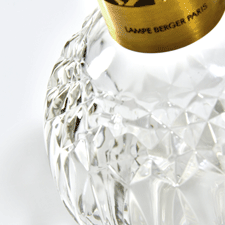 By looking after your lamp properly, your Lampe Berger will accompany you for many years! In particular, it is important to only use Maison Berger Paris perfume in your Lampe Berger. This way, the burner can last for one year or 200 uses; remember to regularly renew it for optimal use of your Lampe Berger. Can fragrances other than those by Maison Berger Paris be used in a Lampe Berger? Only the use of Maison Berger Paris perfumes with the Maison Berger Paris catalytic process guarantee quality and safe use of the Lampe Berger. Using any other perfume than those by Maison Berger Paris could damage your Lampe Berger irreversibly. Is it possible to blend Maison Berger Paris perfumes? Each of our perfumes is a unique olfactory composition that guarantees quality perfuming and optimal diffusion. To enjoy the benefits of your Lampe Berger, you should not mix perfumes together. However, if you want to modulate the intensity, you can add Neutre Air Pur to your Lampe Berger. How do you change the perfume? 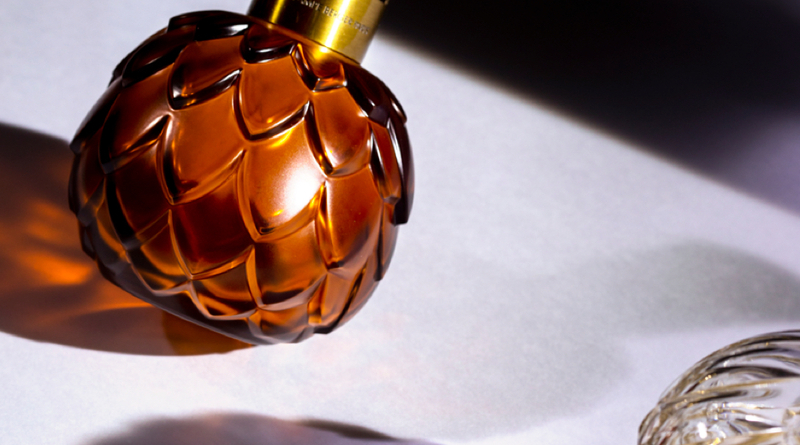 To change the perfume in your lamp, burn Neutre Air Pur in your lamp for 20 minutes; you can then use the new Maison Berger Paris perfume of your choice. To enjoy several olfactory notes in your interior, the ideal situation is to have several lamps and to allocate a perfume per lamp. ...not the odours of the Maison Berger Paris perfume? Maison Berger Paris strives to perpetuate and protect its technique. The House has a technical centre in Limoges, carries out R&D permanently and files patents. There are two zones in the burner. An external part, a catalytic zone, where the temperature reaches around 500°C, which allows for the catalytic oxidation of alcohol and destroys unwanted odours. A central part, with a much lower temperature (200°C), which diffuses the Home Fragrance whilst perfectly preserving the notes and thus guaranteeing excellent olfactory quality. Why is there isopropyl alcohol in Maison Berger Paris perfumes and not another alcohol? Attentive to the quality of air indoors, Maison Berger Paris commits to only diffuse substances which are perfectly managed and controlled. Maison Berger Paris works with the best French perfume-makers to develop refined olfactory universes and strives invariably to guarantee the harmlessness of its products. Isopropyl alcohol perfectly meets the promises of quality and harmlessness of Maison Berger Paris. How do I know which perfume to choose? Perfume is the heart of our business, and we focus on rich olfactory creations and on the composition of the notes. The rich and varied collections, based on exceptional fragrances, are a real tribute to French tradition and know-how. To help you choose your home fragrance, there is an online module to guide you, to find the perfume that best meets your wishes and your interior. Lampe Berger retailers can also help you discover the rich olfactory universe of Maison Berger Paris, with testers at your disposal. My favourite perfume is no longer on sale, what can I do? Some perfumes are sometimes deleted. Let the online guide help you to find the perfume that will best meet your expectations and your interior. What are Maison Berger Paris’ requirements in terms of the quality of its perfumes? Our specifications are very strict concerning perfumes. We only use substances that are controlled by an independent laboratory, which do not create smoke or undesirable fumes while the perfume is diffused. Our strict internal requirements are applied at every step of perfume creating. Do home fragrances have an expiry date? No, our perfumes do not have an expiry date? Is there a difference between lamp fragrances by the Maison Berger Paris brand and Lampe Berger Paris fragrances? The Maison Berger Paris brand designs, produces and sells the perfumes for Lampe Berger. In some shops, you may find Lampe Berger Paris perfumes; they are the same as the Maison Berger Paris lamp refills. What is the point of using a scented bouquet? The collection of Maison Berger Paris scented bouquets is an invitation to discover another way of perfuming your interior and decorating it with elegance. Thanks to the cold perfuming system by capillarity, the fragrances are diffused for several weeks, intensely or delicately. How long is the diffusion time of a scented bouquet? A scented bouquet filled with 125ml of perfume diffuses for around 8 weeks. How can I revive my bouquet? To optimise the efficiency of your scented bouquet, remember the turn the twigs regularly. You can also remove or add twigs to modulate the intensity of the perfume and to make it last longer. When should I buy new twigs? All of our bouquets are refillable with Maison Berger Paris bouquet refills. Every time you use a new perfume in your bouquet, you need to renew the diffusing twigs to fully enjoy the scent. Is it possible to put Lampe Berger perfumes in the scented bouquets? Our perfumes are designed especially for each diffusion mode and must not be mixed or used otherwise. For a diffusing bouquet, ensure you choose the bouquet refills. What is the difference between the black polymer twigs and the willow twigs in the bouquets? We offer different diffusing twigs, designed especially for intense or delicate perfuming. Opt for intense diffusion with polymer twigs, for a sleek and contemporary result. Or perhaps you prefer the natural look of willow twigs. Or choose ceramic objects in floral shapes, for milder diffusion and a fancy decorative choice. Why use a scented candle? With the warmth of the flame and the conviviality of the ritual, the Maison Berger Paris candle collection will bring your interior to life and tell many stories: the caress of cotton, the freshness of verbena, the exoticism of amber, the nostalgia of soaps from yesteryear, etc. Caring about the quality and harmlessness of its products, Maison Berger Paris has developed candles made of 100% plant-origin wax, colourant-free, vegan and with cotton wicks for clean burning. How do they differ from conventional candles? Maison Berger Paris candles are different in many ways: they are vegan, made of plant-origin wax and colourant-free. The wick is made of cotton. Hand-moulded and scented through the body, they offer unrivalled uniform and refined diffusion. How long does a Maison Berger Paris candle last? The life span of a candle depends on its size. Used normally, a 210g candle lasts around 35 hours; a 180g candle around 30 hours and a 680g candle around 80 hours. How do I look after my candle? To make your Maison Berger Paris candle last, regularly cut the wick and make sure the wick is straight before lighting it. After it has been lit for a few seconds, a “pool” forms around the wick and the delicate scent is released. Look after your candle properly by watching the tutorial. What is the diffusion time of the fragrance? The car diffuser is rechargeable and provides a lasting scented environment. The ceramic refills ensure optimal use for around 4 weeks. The car diffuser fragrance collection is available in Aroma, Parfums plaisir and anti-odour lines. Take your favourite fragrance with you as you travel and add a decorative touch to your vehicle's passenger compartment. Where should I put my diffuser in my car? Put your car diffuser on the fan for optimal diffusion. Look after your car diffuser properly by watching the tutorial. What are the delivery time-frames? Your package is prepared soon after we receive your order. You will receive your package within around 3 to 5 working days. An email will be sent to you so that you can track your order. Delivery costs £4.95 for delivery by La Poste. Delivery is free from £49. How can I modify a delivery address? In your personal space, you have an address book in which you can manage different delivery addresses. Note that once your order has been validated, it is no longer possible to change your delivery address. The maison-berger.fr website delivers only in mainland France, Corsica and Monaco. To track your order, to do your customer space to find the tracking link. You will also receive an email when your order is shipped to allow you to track your package. What should I do if there is a product missing from my order? We take special care in preparing your package. However, if a product is missing or damaged in your package, we invite you to contact the customer service which will do its best to meet your satisfaction. What are the conditions for returns and refunds? How do I return an article purchased on maison-berger.fr ? If you have changed your mind, your may return your product to the address: Maison Berger Paris Service Clients 1342 Rue d'Elbeuf, 27520 Bourgtheroulde-Infreville, France. We can exchange it or refund you within 10 days. Please contact the customer service for more information. What are the boutique opening times? In France, we have a network of over 1500 retailers. The contact details for these shops can be viewed on the Store Locator. Where can I find Maison Berger Paris products? You can find our products on the e-shop, in decoration shops, in departments stores and in specialised shops like Zodio or Ambiance et Style. View the Store Locator to find the shop which is easiest for you to get to. Or by letter: Service Clients Maison Berger Paris, 1342 Rue d'Elbeuf, 27520 Bourgtheroulde-Infreville, France. Maison Berger Paris does its utmost to protect its customers’ personal data. Our databases are not sold to third parties. For more information, you may consult our personal data tab. How can I be informed of events and offers from Maison Berger Paris? To stay informed of our new products and news, sign up for the Maison Berger Paris newsletter by following this link, or follow us on Facebook or instagram. Where should I send my application to work at Maison Berger Paris? What is the company's address? The company’s head office is at 1342 Rue d'Elbeuf, 27520 Bourgtheroulde-Infreville, France.